Villas fabuleuses sur Anguilla - Bayberry et Chinaberry Villa. Villa, 3 chambres + lit convertible (s), 3 bains, (6-9 personnes) - 1 ou 2 Bdrm aussi! BAYBERRY - NOTRE VILLA DE DEUX CHAMBRES EST DISPONIBLE POUR LE 22 AU 30 DÉCEMBRE. PLS NOUS CONTACTER, SI DEUX CHAMBRES SONT SUFFISANT POUR VOTRE SÉJOUR. CANT ATTENDRE DE VOUS ACCUEILLIR POUR LE NOËL. Bayberry et Chinaberry Villa ont longtemps été hébergement villa populaires pour les visiteurs à Anguilla. Nous offrons une villa à bon prix pour vous et vos amis et votre famille à se réunir et profiter. Que vous ayez besoin d'un, deux ou trois chambres, nous serions heureux de vous accueillir pour vos journées spéciales à Anguilla. La propriété dispose de deux bâtiments avec deux chambres dans la maison principale - Bayberry, et une chambre supplémentaire dans la maison d'hôtes Chinaberry. Les deux bâtiments ont des entrées privées, des galeries pour les repas et le coucher du Soleil, une cuisine entièrement équipée et salle de bains. Que vous ayez besoin 1, 2 ou 3 chambres à coucher, nous serions ravis de vous accueillir à Anguilla bientôt. Si vous prochaines vacances implique Anguilla, contactez-nous pour un séjour de la villa. De 1 -3 chambres, nous pouvons accueillir votre famille ou un groupe d'amis. Nous sommes l'endroit idéal pour vos prochaines vacances dans les Caraïbes. Eaux tranquilles chaudes, les plus belles plages du monde - en fait, nous avons 36 d'entre eux. Nos restaurants sont superbes et nous sommes heureux de faire des recommandations sur les endroits où manger et où la meilleure plongée en apnée est. Venez à Anguilla cette année. Tranquility enveloppé en bleu. Venez profiter de paradis. Ce ne est pas une propriété partagée et vous aurez votre propre villa si vous avez besoin d'un, deux ou trois chambres. Nos villas ne sont pas louées séparément. Gayle was beyond helpful and attentive. She suggested and made restaurant reservations for us, she organized our car rental which was delivered to our property for our arrival. She offered to make our ferry reservations from st. marteen. She organized a taxi who was waiting for us and who brought us to the property. Lyn the housekeeper kept our place in beautiful shape throughout the trip. They provided local cell phones for us to use, towels, chairs, umbrellas. Really amazing. The pictures are very accurate - the views are awesome, the furniture and beds super comfortable. The compound, (both houses) looked and felt very safe to us. We were a family of 4 and used both houses. There was enough hot water for us all to take relatively quick showers after the beach. We had never been to Anguilla and were very impressed. It did not disappoint - beaches, food, bars and super yacht watching were all great. All that being said, without a doubt the locals are the best part of the experience - what an incredibly friendly, laid back and happy people. The only drawback, which had little to do with the home, was that there were mosquitos, so while we would have liked to have lounged outside at the home after the beach or in the morning- there are great terraces and landscaping - we really couldn't do that without a healthy dose of bug spray - which was also provided (they thought of everything). Apparently, according to locals, this was one of the first years with such mosquitos - hopefully they won't stay long. Thank you Gayle for sharing your great home and island life with us. We look forward to coming back. Tanya and family, thank you so much for such a wonderful review. You were all great guests, communicating exactly what you wanted, which makes my job so easy. It was our pleasure to have you as our guests, and we hope to have you return to the villa again. Warm regards, Gayle and Lyn. The booking process was very easy, and the villas were absolutely amazing. What a perfect location with lovely views, large bedrooms, and plenty of patio and outdoor space. The owner and the housekeeper were friendly and accommodating to the needs of my family, including young children. I highly recommend Bayberry Villas and absolutely will consider staying here again. thank you so much for your lovely review. Lyn and I appreciate your comments. We look forward to welcoming you back to Bayberry and Chinaberry Villa for your next visit to the island. Have a wonderful summer. Gayle and Lyn. My husband and I thoroughly enjoyed Bayberry. The views were amazing. We were so relaxed and although it was just the two of us, we definitely could have fit my son and his family with the two large bedrooms. Maybe next time. It was our first time in Anguilla and we went along with many of your suggestions for restaurants and local food. The food and wine were delicious!! The woman that takes care of Bayberry, Lyn was so gracious and helpful. We went all over the Island, different beaches, art gallery, restaurants, musical festival (Moonsplash) etc. It was a fun and relaxing vacation and our stay at Bayberry made it even more special. Thank you for all of your help planning the stay at Bayberry. 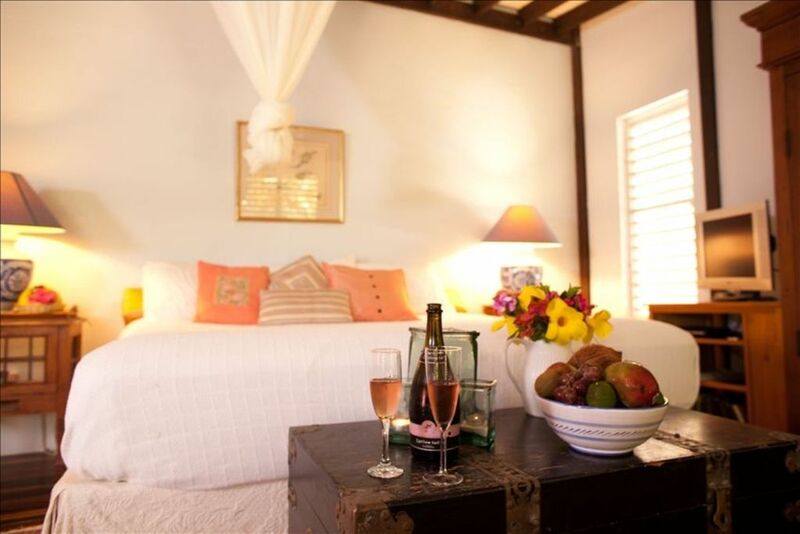 This was our first trip to Anguilla and the trip and stay on the Island and Bayberry Villa exceeded our expectations. From the initial inquiry until arrival and then during our stay at the lovely villa, Gayle provided quick responses and guided us on every detail, making our arrival and stay most welcoming. The Villa is beautifully sited with cool breezes and views off three sides of the terrace overlooking the beautiful Rendezvous Bay and the gorgeous Caribbean Ocean. From sunrise to sunset the terrace was a great spot to relax at the beginning and end of every day. The inside was clean, and beautifully decorated complete with all amenities you could want and for dining in if you choose. We traveled with another couple and the space was perfect for the 4 of us. During the days, we enjoyed the many different beaches on Anguilla, and loved trying out all the wonderful local restaurants each with their own character for lunches and dinners on the water. The Guest book with recommendations of places to visit was full of great suggestions. A beautiful Island and everyone so friendly and helpful, including Gayle and Lynn who helped us every step of the way. We can’t wait to return to Anguilla and Bayberry Villa and would highly recommend. Our trip to Anguilla was fantastic! This was our second time to visit Anguilla, but our first time to Bayberry/Chinaberry. We got to see old friends, visit our favorite establishments and try some new things, too. It was just as wonderful as we remembered. Staying at "The Berries" was delightful. It was perfect for our group of 6 adults. The location is great. It felt private and secluded. Gayle was easy to work with and accommodating. The beds were comfortable, the kitchens were well-equipped, and there was plenty of living space for all! Plus, you can't beat the views on the patios, especially for having some sundownders! There was also a great music selection. Lyn took care of us wonderfully. She has such a sweet demeanor and personality. Our house was kept so neat and clean throughout our stay. We never wanted for anything, and she even managed to keep the floors free of sand. If you stay, don't forget to fill up the bird bath and put out some sugar. The sugar-birds are quite fun to watch. We will most certainly be back to Anguilla and would definitely love to stay here again. marche de la plage, plage de baignade, natation, plongée, plage de peignage .... tout ce que vous pouvez faire sur la plage, vous pouvez faire sur Anguilla.